Your former Prime Minister Donald Tusk stated that the EU has been undergoing a crisis, Schengen is on the brink of collapse and we are quickly running out of time for finding a solution. Is it that bad? Yes, it is. The problem of Schengen is that it may collapse even through the fault of a single member, who fails to adhere to the rules. President Tusk is right when he says we have to improve the control of Schengen’s external borders in order to save it. This is a precondition for Schengen’s population to feel safe. The protection of the external borders is not a luxury, it is a necessity. However, it requires the establishment of common European forces to protect the borders, which is opposed by some states, like Greece, who considers the protection of borders to be a question of national sovereignty. I would appreciate if the Spaniards, Czechs, Italians and others jointly protected the external EU borders, including the Polish ones. But Greeks have declined it so far. But in this case, they have to protect the borders by their own means reliably enough. And if a member state is not able to do that, it must be excluded from the system. The thing is that we need to implement rules, under which commitments made by a country but not met by the country, should be enforced by force. Otherwise the system will collapse. But the lack of effective control of borders is not Europe’s only problem. The fact that it does not have a sufficiently strong foreign policy that would handle the problems outside the European territory before they reach its borders, e.g. in the form of refugees, is much worse. Is the Union able to establish a common foreign policy? Actually, this goal was laid down in the Treaty of Lisbon. By signing the treaty, we promised to establish a common foreign policy and advocate the goals upon which we agree. But this has not happened, although the EU established a foreign policy office. I think this is the reason why we have such problems in Syria, Libya, the Ukraine, etc. The member states should take a back seat and let people appointed for that office conduct the foreign policy. Not even the largest EU states have enough power to handle the conflicts in the aforesaid countries individually by their own means. However, there is no visible will of the member states to make such a step. Do you think the current situation, the threat of the EU collapse, will force them to do that? The Treaty of Lisbon clearly states that and has a character of law. Politicians just need to adhere to what they agreed upon a while ago. And the Treaty of Lisbon even mentions a common defence policy. Ok. Let’s suppose the EU will have a common foreign policy. Would it be able to handle such conflicts as the present one in Syria? Of course, it is not certain and we can fail, but if the EU will not have a single foreign policy, it will fail for sure. You have recently returned from the Ukraine. What do you think about the country? They finally established an anti-corruption authority which is sort of a test of how serious they are about the fight with corruption on all levels; however, the will must come from the highest ranks. We’ll see. Is it true that the oligarchs have not been weakened and the whole process is slow? It is slow, but let’s hope that the famous rule, which holds that states make reforms only when it is almost too late, will also apply in the Ukraine. And it is really almost too late in the Ukraine. If the Ukraine will not make it, it will have to face Putin’s aggression because it will be weak and unable to defend itself. So in the case of the Ukraine and its transformation, there is much more at stake than in Poland or the Czech Republic. You see, no one disputed the Polish borders in the 1990s. In his last speech before Parliament, President Putin did not mention the Ukraine. Does it mean anything? That is typical. President Putin attacked the Ukraine both physically and verbally for two years, but it turned out his propaganda did not work. For instance, hardly anyone believes that the Fascists govern in the Ukraine, as he stated. It also turned out the Ukrainians have not demanded to be joined to Russia. He did not even manage to persuade the Ukrainians living in territories occupied by pro-Russian rebels supported by Putin; therefore, Putin’s silence is a sort of late admission that the Novorossiya operation (as Putin called the southeast part of the Ukraine, which he believes historically belongs to Russia – editor’s note) failed. Is this the reason why Russia is at war with Syria today? To distract the Russians’ attention from the failure in the Ukraine? Partially yes, but today Russia feels like a leader of an unholy alliance of autocrats, and Putin does not want fellow autocrats to be removed from power. Moreover – I guess Putin is a gambler, whose luck has run out. The British say each prime minister goes mad after eight years of governing. I would say the more power you hold, the more it applies. You know, Putin was vindicated on many issues: he restored Russia’s credibility, restored her finances, improved Russian self-respect. In many cases, he risked and succeeded, so he now feels he is better than his advisers. And in some cases – e.g. in the Chechen War or the Georgian War, or in the case of the annexation of Crimea – he has taken some gambles. He won these gambles, but he lost in Donbas. Syria is also a gamble, and now he is discovering the Middle East is much more complicated than he had ever thought. The problem with gambles, especially if they involve violence, is that you lose control of reprisal. I think he did not suppose the Islamic State would blow up an aircraft with Russian citizens, and that Turkish President Erdoğan would be as tough as Putin himself. The Russian-Turkish relations, which had been very close recently, were suddenly endangered. Does it serve the Russian interests? No, I don’t think so. Putin had been isolated a few months ago, then he managed to step out due to the intervention in Syria, but now it seems he’s stepping back into isolation again, don’t you think? Putin is not isolated. French President Hollande met him in Moscow, American President Obama is in touch with him. Putin is not isolated, but he does not have as many options of applying his power as he did earlier. He is now dragged by events rather than determining them. Today, the issue of refugees has separated the EU into the West and the countries of Central and Eastern Europe. How serious an impact could this separation have? It is serious. When we expect the western and southern EU countries to share our concerns and the feeling of vulnerability from the east, we should also share their feeling of vulnerability from the crisis they are currently facing. This is how European solidarity works, but if we tell the southern states that they act as a buffer zone against refugees and we have nothing to do with that, we cannot be surprised if they will use the same words at any other opportunity. It is quite easy to understand western Europeans who can say they have spent a lot of money and energy to expand the EU eastwards, so they rightly expect a sort of gratitude and reciprocity in a matter they describe as vitally important for them. Chancellor Merkel has been widely criticised in our part of Europe for inviting refugees to Germany. Do you think she did not anticipate the opposition of Central Europe and is surprised by our reaction? I think she made a purely German decision, though for noble reasons; however, she forgot that Germany is not an island, that it is part of Schengen, so everyone she invites to Germany may leave for another state at any time. So this is the reason why I believe such decisions should be made on the European, rather than national, level. How can the behaviour and language of Central European politicians affect the relations with the West? Politicians of Central Europe have realised that everything they have been doing in the interest of their home popularity can backfire on them in relations with other states, but this is how the world of real politics looks like. If you are part of a multinational confederation, you have to be willing to sacrifice something. Does it mean politicians like Viktor Orbán, Miloš Zeman or Robert Fico do not know how politics work? They just make use of the advantages of home populism, but Europe has always existed on the basis of a balance between national egoism and a sense of community. The problem is that Western Europe will survive even without the EU. For us, survival of the EU and its deeper integration is a vital issue. For this reason, if the EU faces a crisis – either financial or refugee, the states in our region should make all efforts to solve the crisis. Instead of ruining it due to their petty domestic reasons. For us, the EU is not just a legal structure or treasury offering European funds; it is an area where we do not have to be afraid. Thanks to the EU, we do not exist between Russia and Germany in the geopolitical sense, and in order to save a concept like the EU, it is worth admitting a few thousands unfortunates fleeing from war. Can we talk about the gap between Eastern and Western Europe then? I think selfish politics are conducted on both sides. Western politicians are just trained much better in hypocrisy. They know when they should remain silent. Have a look at how many refugees have been admitted by member states, if we do not take Germany and Sweden into account. You were a politician for a long time, you moved in the highest of European political circles. Do you think western politicians take the behaviour of politicians in our part of Europe personally? Yes, they do. Among other things, it supports their stereotypes of how they perceive our region. They remember the behaviour of politicians and the character of regimes in Central Europe in the 1930s – perhaps with the exception of Czechoslovakia. They also have a certain complex of arrogance, which has a long tradition. Can you see any connection between the increase in populism in Central Europe and the formation of unicolour governments in three countries of the Visegrad Group? Populism is a reaction to the financial crisis, globalisation, uncertainty of people about their own identity, opposition to rich elites; populism has also been facilitated due to weak media, which do not have sufficient means to publish elaborate articles. I think this populism is truly very dangerous. The situation seemed different ten years ago – we appeared to have been finishing the democratisation eastward. This is not true today, and I would neither have the courage to guarantee the survival of the EU and its democratic form, nor can I guarantee that Putinism, as a form of government, will not triumph in some European countries. So are we in a situation when the collapse of the EU is not impossible? In my blackest scenario, I cannot see the EU collapse, but rather its gradual degradation and inability to act. Does it mean everything will seemingly remain unchanged and we will continue to live in our own way? Many Europeans would not mind it. No, I mean a gradual decline. For example, imagine that one state decides not to pay a contribution to the common budget. The fundamental question is if we will have Europe with the freedom of movement and common interests, or just its national fragments. In Central Europe, a political shift can be seen – three unicolour governments with a strong conservative element. What happened? People began to take democracy and our EU membership for granted. They forgot how hard it was to get where we are today. The freedom of movement or cheap roaming are natural individual advantages especially for the new generation, and they blame Brussels for everything they consider disadvantageous. We are facing the same as what is happening in Britain – a lack of European education, an understanding of what the EU is. British tabloids had been working on resistance against the EU for two generations. If we want to save the EU, we need both politicians with enough courage to explain the meaning of EU, as well as education towards this way of perceiving Europe in schools. Exactly. Therefore, we have something the Marxists during communism called “this is not a crisis, it is a result”. In a broader sense, it is important to say that we are facing a crisis of the EU model, which is a confederation, meaning that we can agree on common steps, but decisions are made on the national level. If one of them breaks the agreement, all of them have a problem. Switching to a federal model, where the compliance with the rules can be enforced, is what we need. So this is a crisis and opportunity at the same time? Definitely. Obviously, no Schengen state can handle the crisis individually. We will either solve it by sending national security troops to guard the borders together or create joint European forces. Otherwise, Schengen will collapse. And so will other areas built on a confederative model. How can the collapse of Schengen look like? Schengen is an opportunity to move within the area without a passport, which is very nice, but its termination would mean neither the end of the cross-border movement nor the opportunity to work abroad. Britain does not belong to Schengen, and eight hundred thousand Polish still work there. So the restoration of border checks is not that dramatic as such, but it would have a long-term dramatic effect in the form of disintegration. When we talk about Central Europe, we talk about Poland too. Can you explain the results of the Polish elections? People were tired of our government. Sorry, but as a former Minister of Foreign Affairs, I adhere to the principle of not talking about Polish domestic affairs abroad. But Poland is an important member of Central Europe and the new government is now talking about a new strategy, reinforcement of Visegrad, and political axis from Poland southwards to Bulgaria. What do you think about it? We were working on the reinforcement of Visegrad during my government as well, but this group works only when it has common interests. Which is not always the case. It works in energy policy, agriculture, or, for example, in the joint explanation of our history to western partners. It does not work in our attitude to Russia, where we can agree only on the fact that we cannot agree. Even under circumstances that three of its states have conservative and rather anti-European governments? I have been appointed senior fellow at Harvard University, I will travel and write a book about my seven years working in the Ministry of Foreign Affairs. When you look back, can you see any mistakes you made in your political life? I am sure I did some, but you also need some luck in politics. You were not that lucky when recordings of your dinners in restaurants where published, where you were talking about politics very openly with partners. Yes, but it is frustrating that many people tend to sympathise with those who made the illegal recordings rather than with victims of these recordings. I think it would be perceived differently in the West. And it is true that if we think that we are in private, we tend to talk in a different way. I think privacy is an important right, and that’s why illegal recording is punished, but it did not happen in our case. By the way, those recordings did not reveal anything that could be considered illegal; our conversations were simply too frank. You are 52. Our weekly described you recently as a future European leader. There are not many politicians in our region who would be accepted in the West. Isn’t it worth another try? Who knows what my future fate will be. But the West, especially large states, had decided he did not want to have a strong EU foreign policy. It is a bare fact. When you look at the current EU foreign policy, it is weaker than it was before the Treaty of Lisbon. Which is unfortunate. 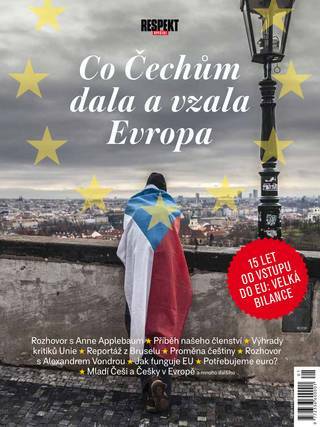 This interview was published in Respekt magazine 51/2015 (Czech version). Born in Bydgoszcz. At the time of the declaration of martial law in 1981, he was studying in Great Britain, where he was granted political asylum and later also British citizenship; he worked as a journalist. After he had returned to Poland, he was engaged in politics, last as the Marshal of the Sejm. Following the affair involving transcripts of secretly-taped conversations in June 2015, he resigned. His wife Anne Applebaum is an American journalist and historian.